The 2018 Rolex 24 at Daytona was an absolute power trip for the sport's top competitors. Each class featured interesting contests early on, but as time advanced, it was clear who was in control. The No. 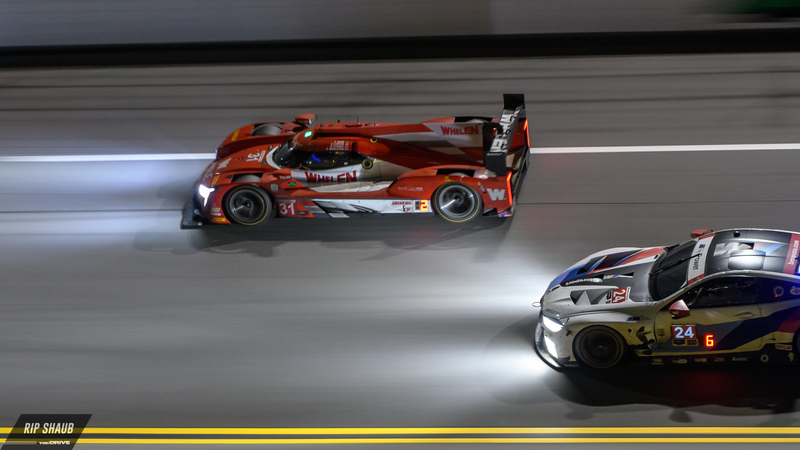 5 Mustang Sampling Cadillac DPi earned a conclusive victory in the 24-hour epic, as did Chip Ganassi Racing's Ford GT twins, both eclipsing a major accomplishment in reward for a genuinely domineering season-opener. This is a major case of redemption for Team AXR Mustang Sampling and Chip Ganassi's crew as they narrowly missed out on the top step of the Daytona podium last season (the Cadillac DPi was passed in the final seven minutes of action in 2017). On the way to winning the coveted Rolex Daytona, the two teams set records and hit milestones that made this year's event even more significant than in years' past. 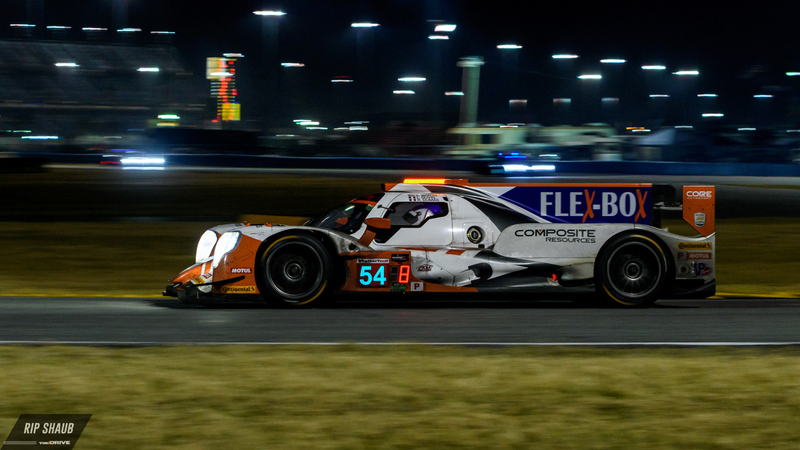 The team of Joao Barbosa, Christian Fittipaldi, and Filipe Albuquerque overcame the looming threat of the upstart Acura Penske Team in the wee hours of the night. Cadillac was rivaled by Helio Castroneves and the No. 7 Acura near Hour 7, but consistency, strategy, and a spot of luck, all worked to Mustang Sampling's favor. 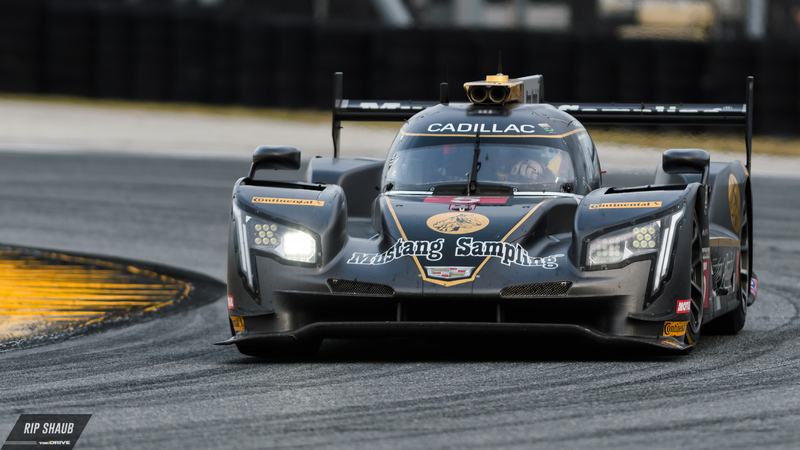 The American outfit was able to trump fellow Cadillac DPi competitors as well, splitting from its nearest rival and Action Xpress Racing stablemate, Whelen Engineering, for the win. The No. 54 CORE Autosport Oreca finished third. This was redemption for Albuquerque, who was carrying a grudge from last year's defeat. After one of its toughest competitors, Wayne Taylor Racing, removed itself from the contest with six hours to go, the experienced Mustang Sampling trio put the event in a guillotine for eventual victory, driving a record-setting 808 laps and 2,876.48 miles. In a special moment for Chip Ganassi, who also served as the Grand Marshal for this 56th running of the 24-hour race at Daytona, his No. 67 and No. 66 cars followed each other over the finish line. 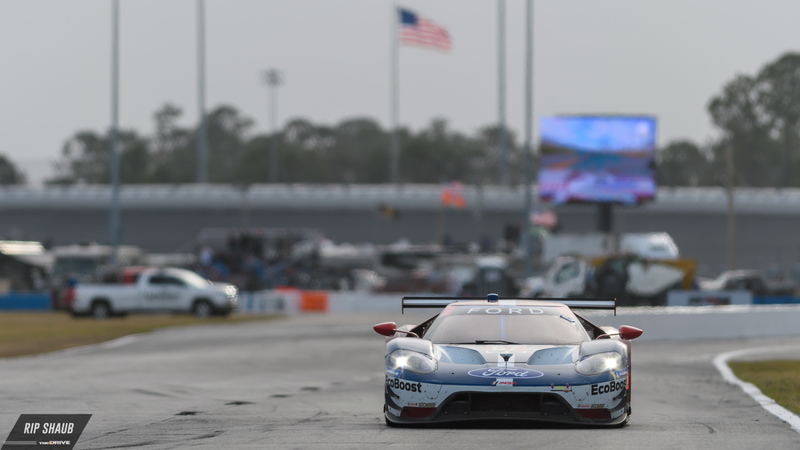 They were essentially inseparable from the halfway point, and Ryan Briscoe, Richard Westbrook, and Scott Dixon brought it home to Charlotte for the team's 200th overall victory via GTLM glory. Joey Hand, Dirk Mueller, and Sebastian Bourdais claimed the second spot on the podium in the No. 66 Ford GT. 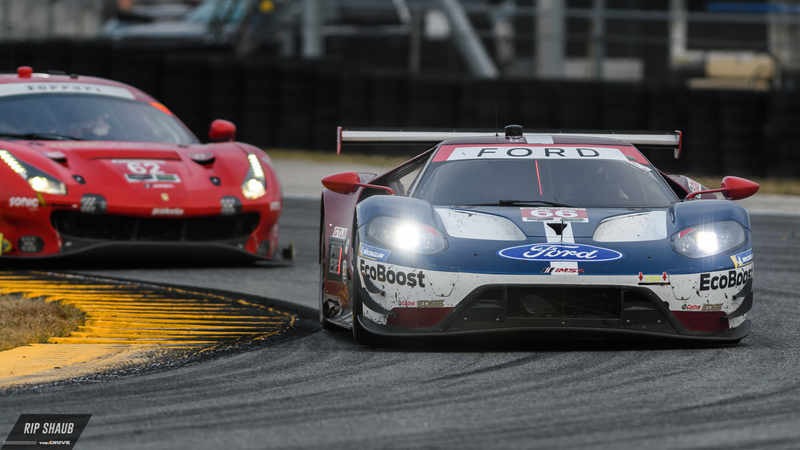 Their historic battle with Corvette Racing continued once again this year, and although the No. 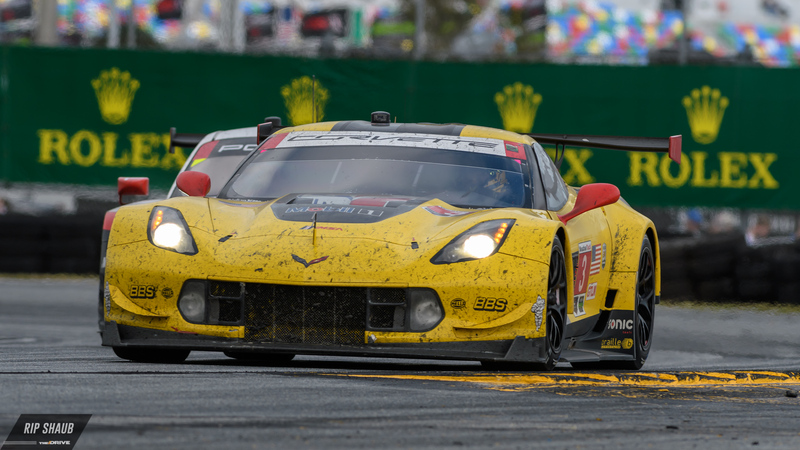 3 C7.R was crowned best of the rest, it was still a full three laps back from the lead at race's end. 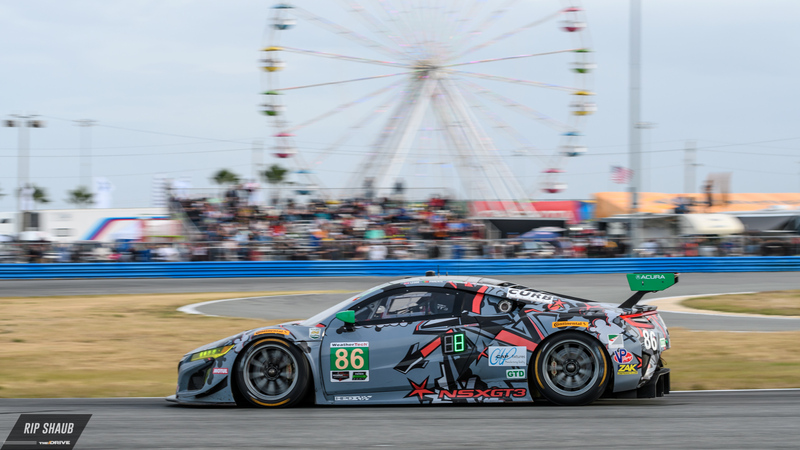 In the GT Daytona class—the most tightly contested category during the closing hours of this year's competition—less than a second separated the No. 33 Mercedes-AMG Team Riley Motorsports car from P1, but an untimely pit stop forced the team back in the field and off the podium. In the end, it was Grasser Racing Team's No. 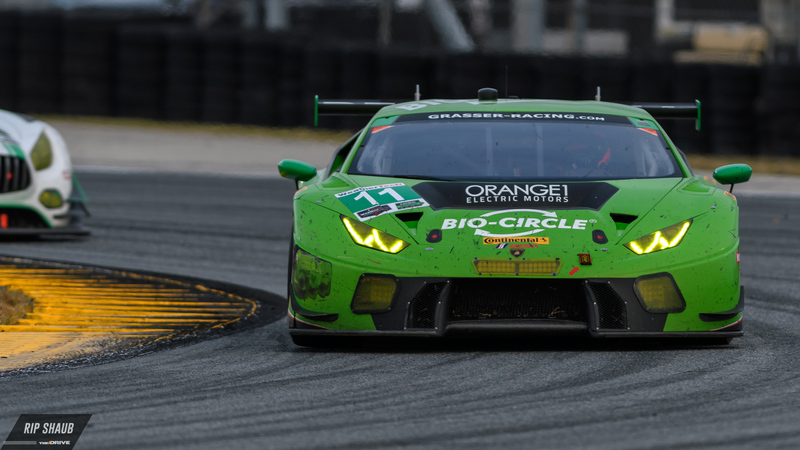 11 Lamborghini Huracan GT3 that won the class, staking the Italian marque's first-ever victory in a 24-hour race. This is a major accomplishment for the team as it qualified in 19th position, last in the GTD category. Michael Shanks Racing's No. 86 Acura NSX GT3 was in the conversation from green to checkered flags, and while it didn't manage first place the team will surely take the points as it heads into Sebring this March. They were followed by another Huracan GT3, the No. 48 Paul Miller Racing entry, rounding out the podium in the series' Pro-Am category. A series of mysterious tires punctures caused WTR to protect his drivers. 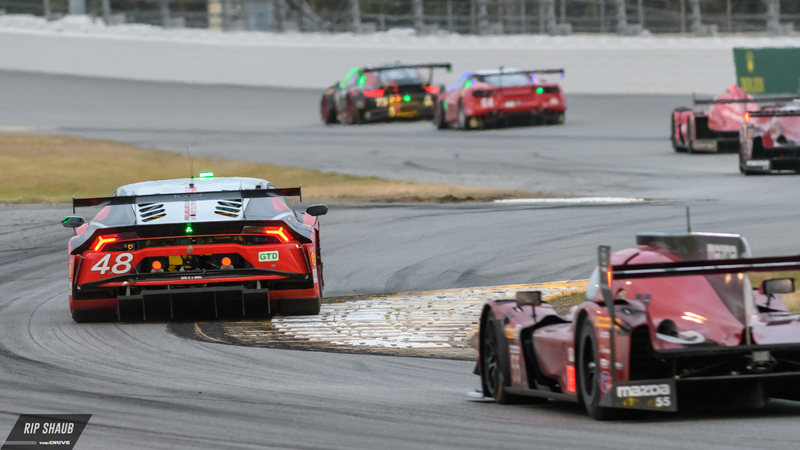 If you couldn't make it to the dazzling IMSA season-opener, you can live vicariously through this collection of A1 shots via The Drive's finest. Mustang Sampling, Team Penske Acura, and more are holding each other close for the night stint of this day-long race. The Continental Tire Sports Car Challenge series looks to be in for a tightly-contested campaign yet again this year.